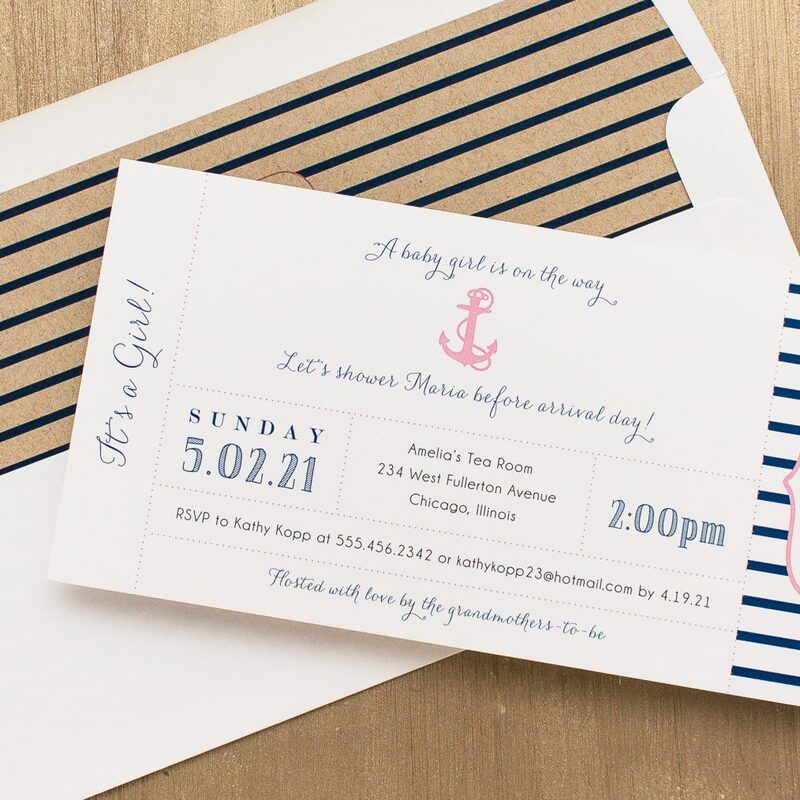 Our Ahoy It’s A Girl Baby Shower Invitations are small, cute and such a delight. 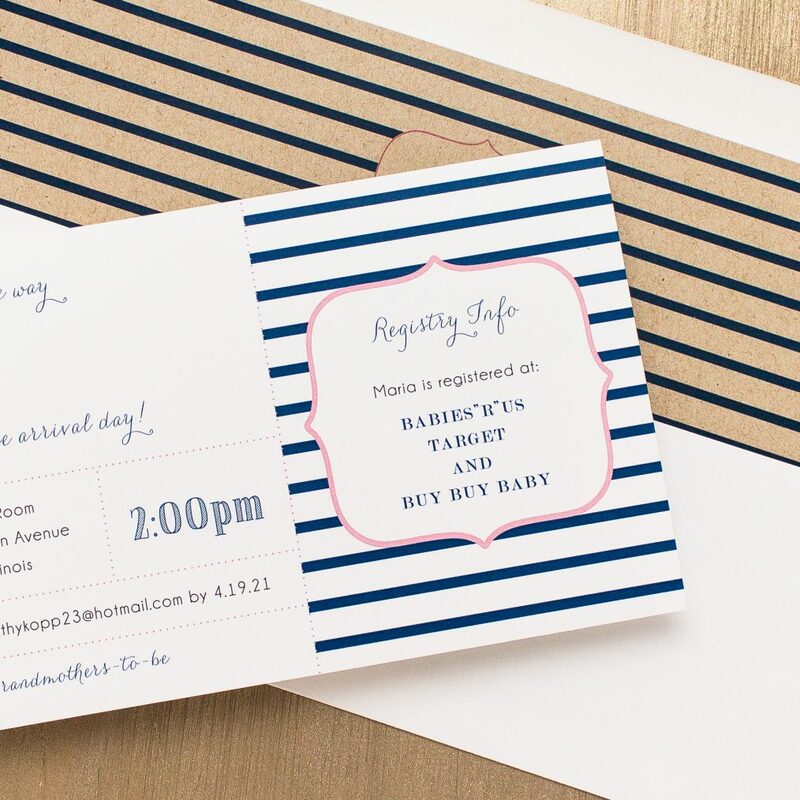 Unique long baby shower invitations with matching envelope liners. 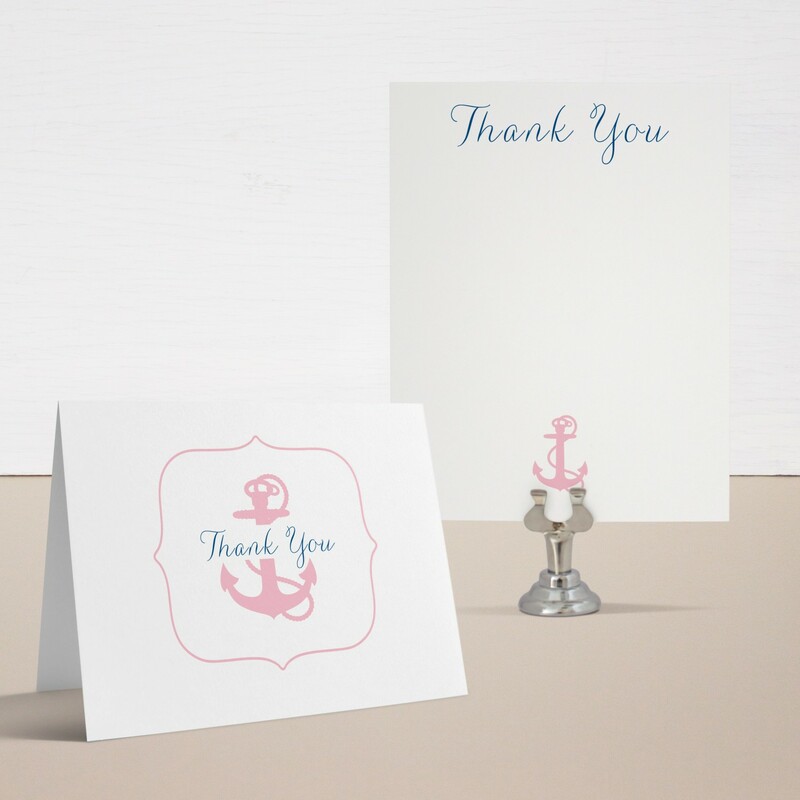 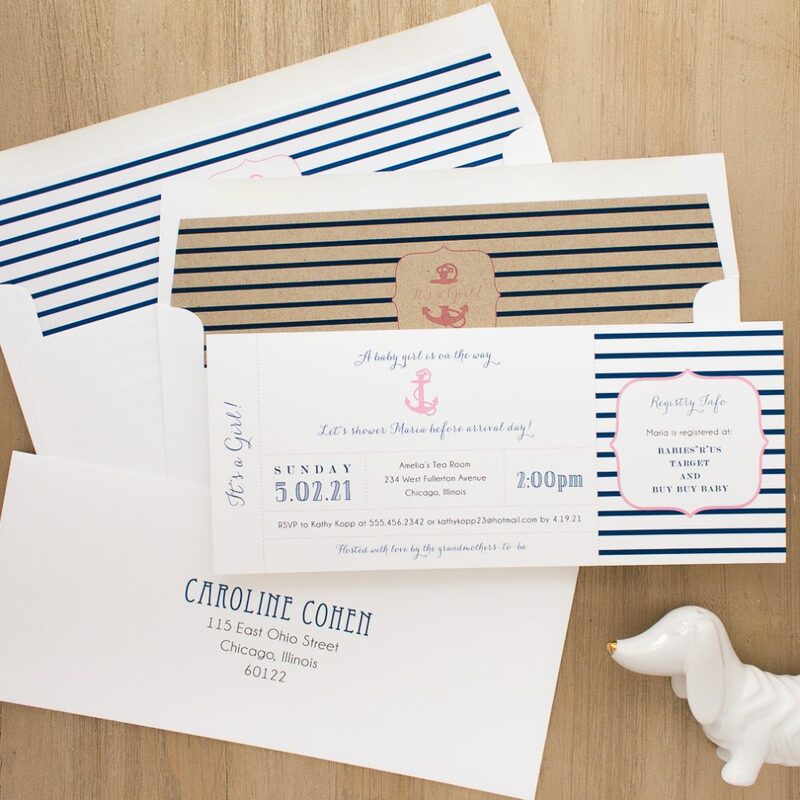 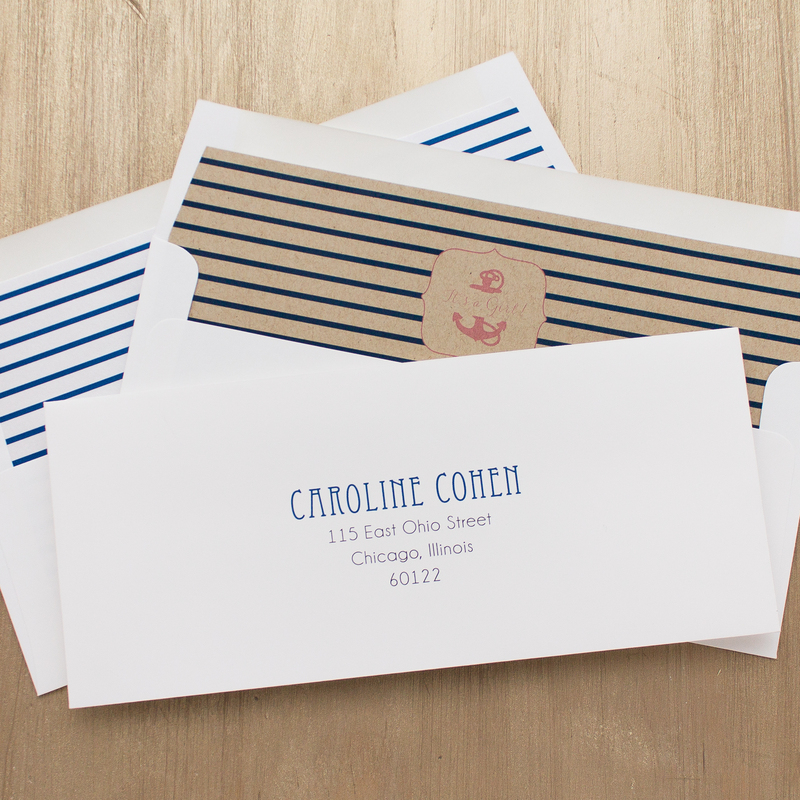 Perfect for you nautical themed baby shower. 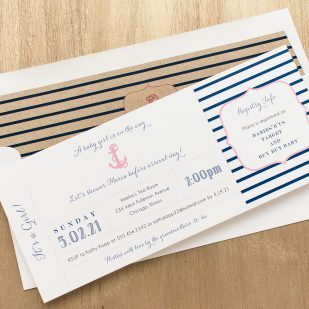 Each invite is made to order with your personalized wording and then hand assembled with a matching envelope liner printed on the paper of your choice.